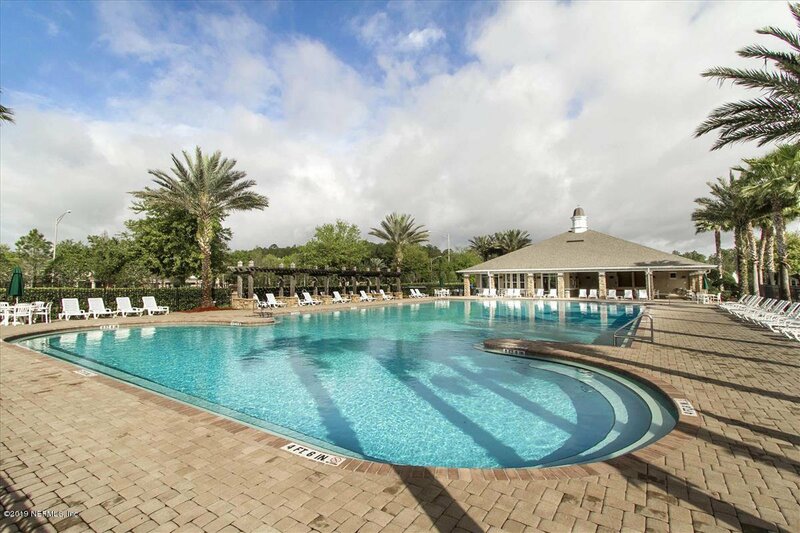 ENJOY MAINTENANCE FREE LIVING AT IT'S FINEST! 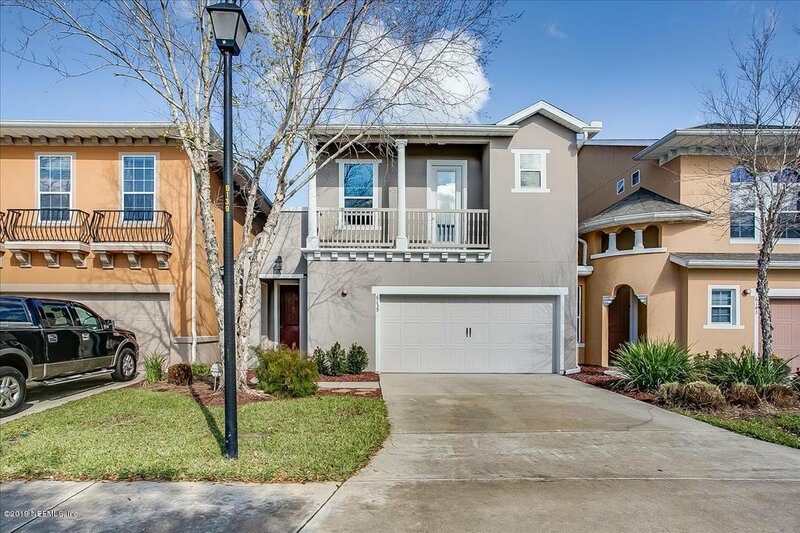 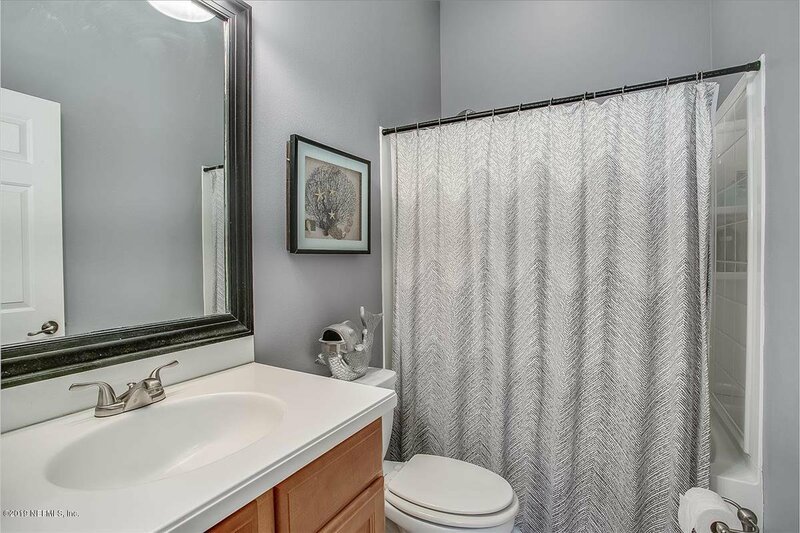 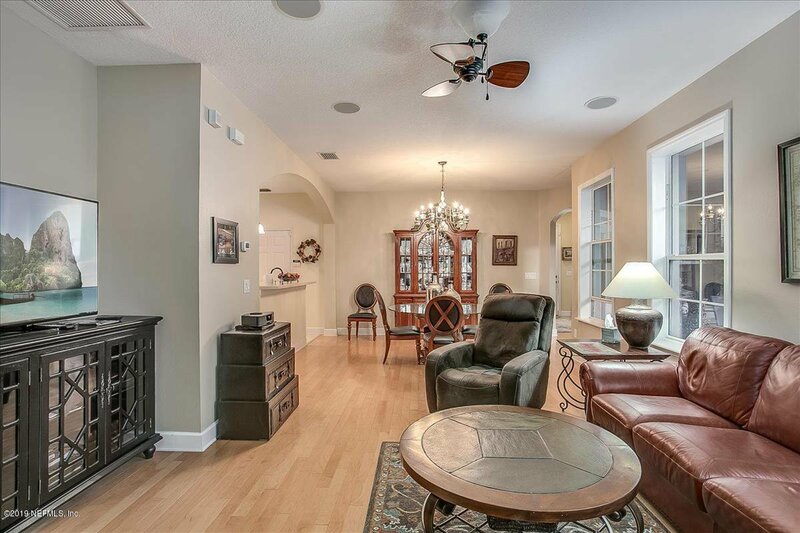 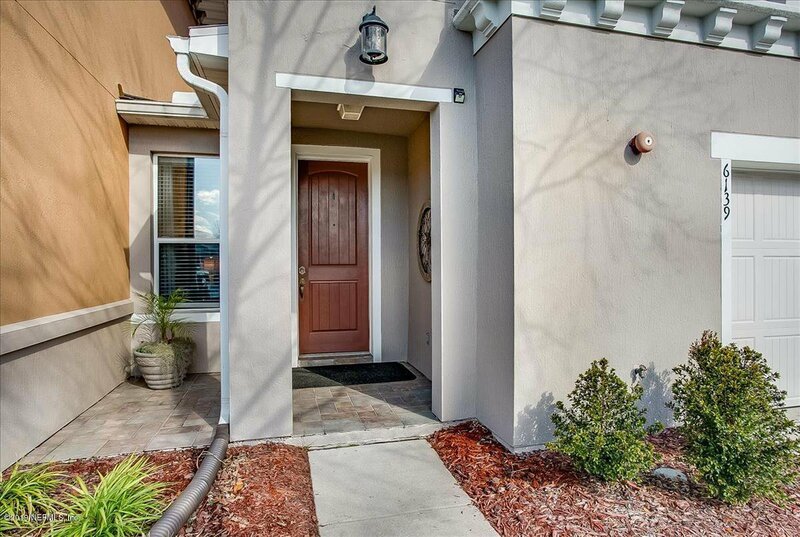 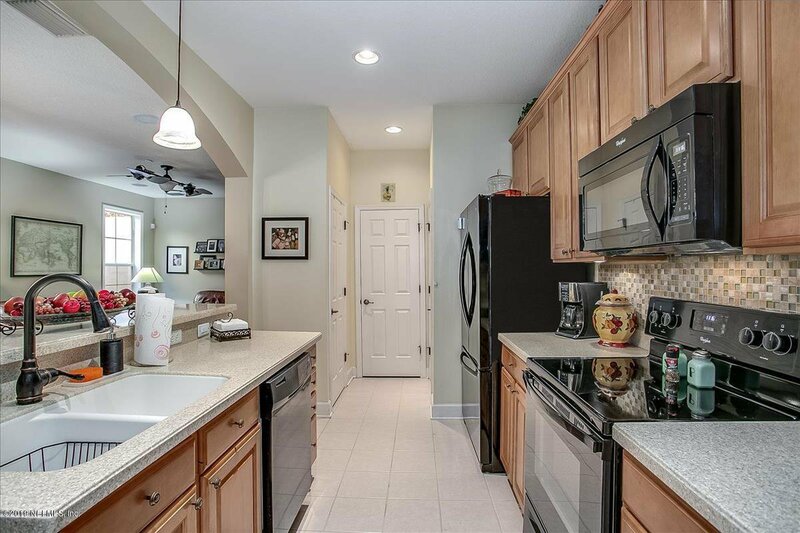 Located in highly desirable Bartram Park area of Jacksonville. 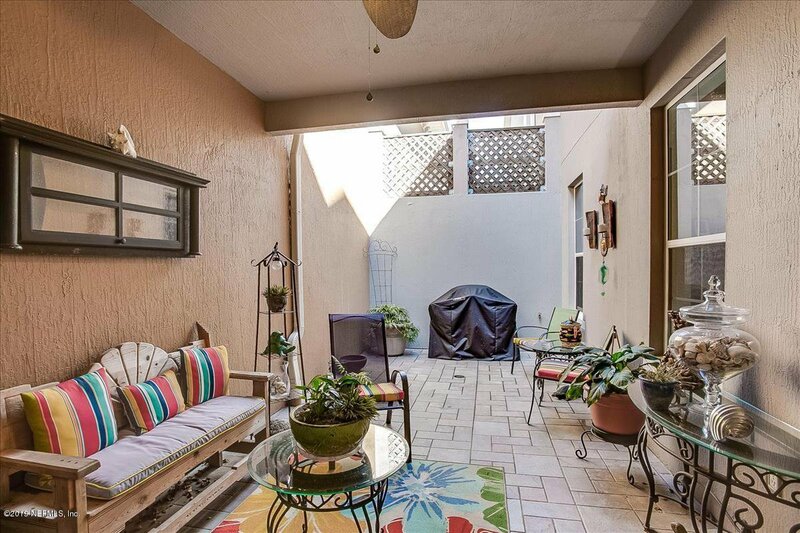 This beautiful luxury terrace home is filled with upgrades. 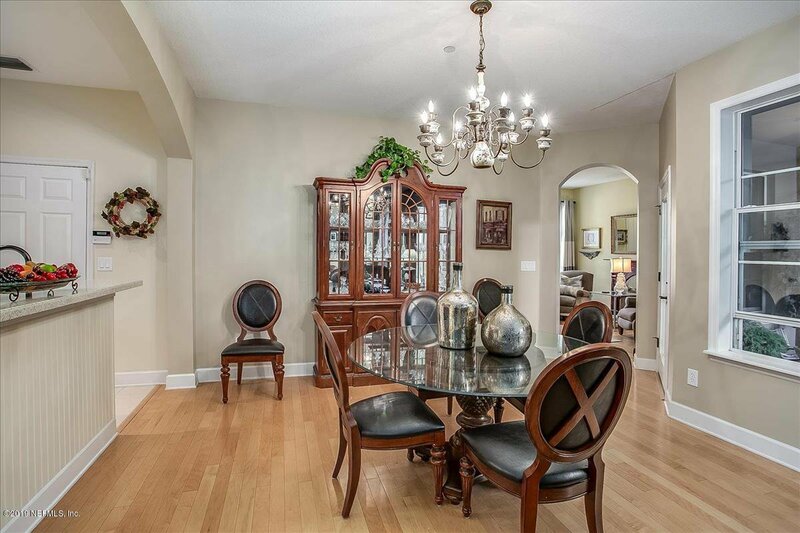 Featuring hardwood flooring in living, dining and family room. 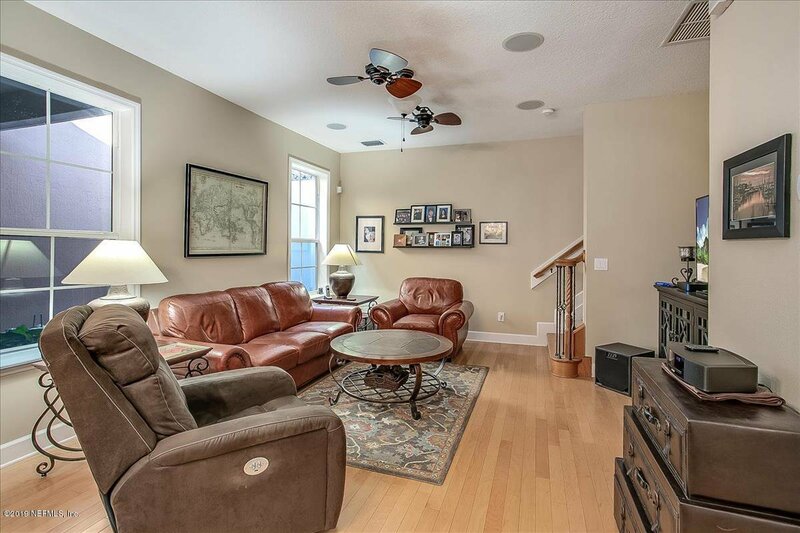 Family room with surround sound speakers. 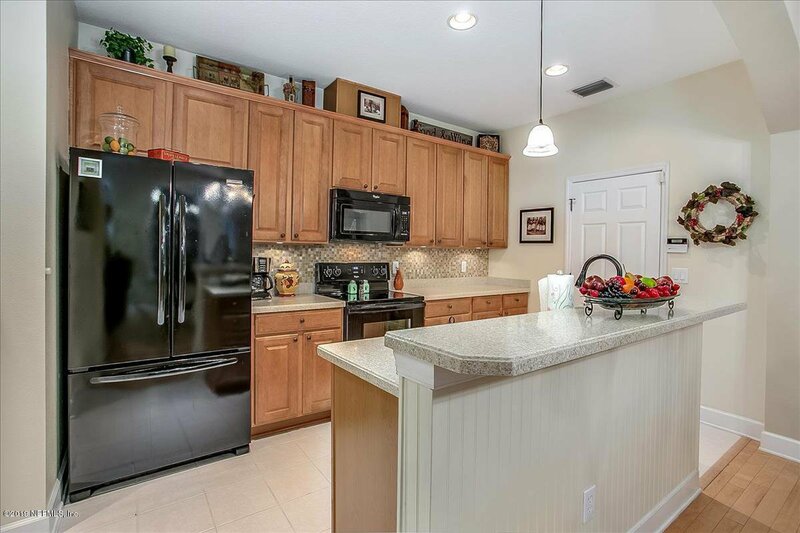 Spacious kitchen with solid surface counters, 42'' cabinets w/ crown molding, tile backsplash, and all appliances included. 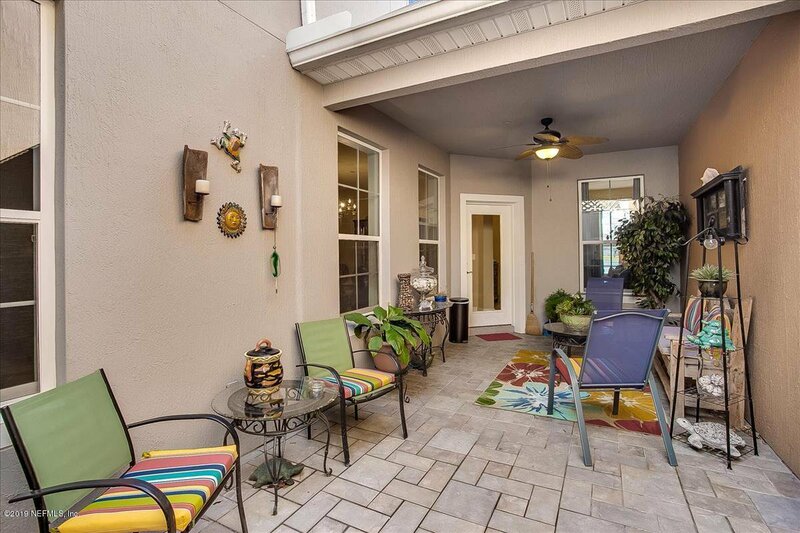 Enjoy the private court yard/lanai with pavers and ceiling fan. 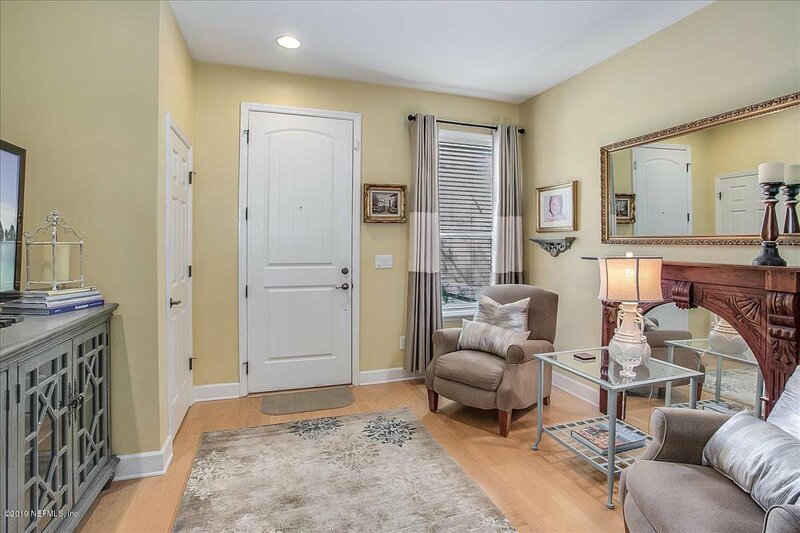 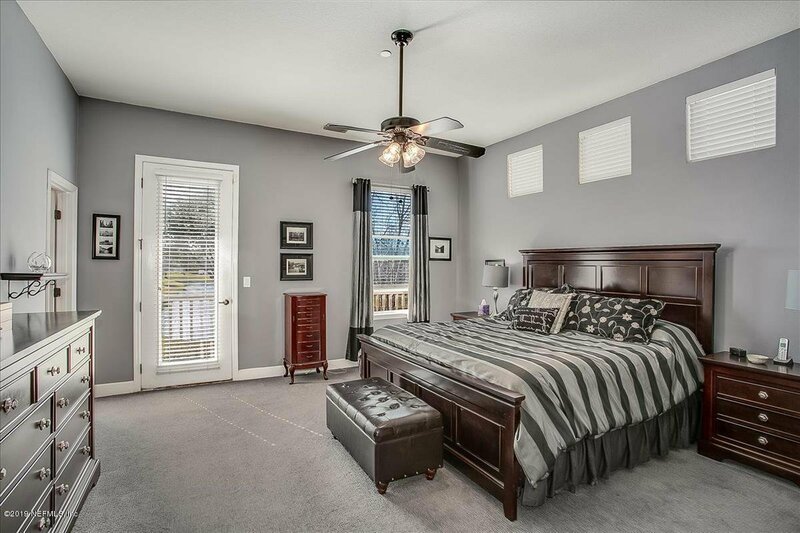 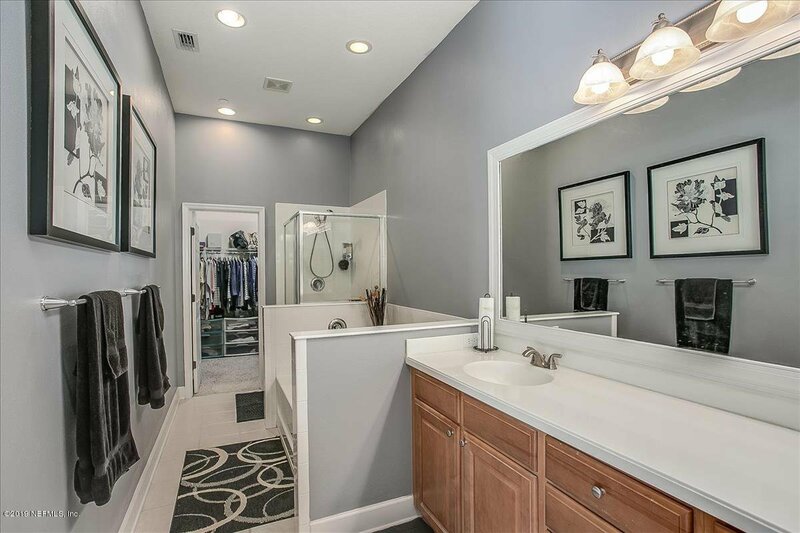 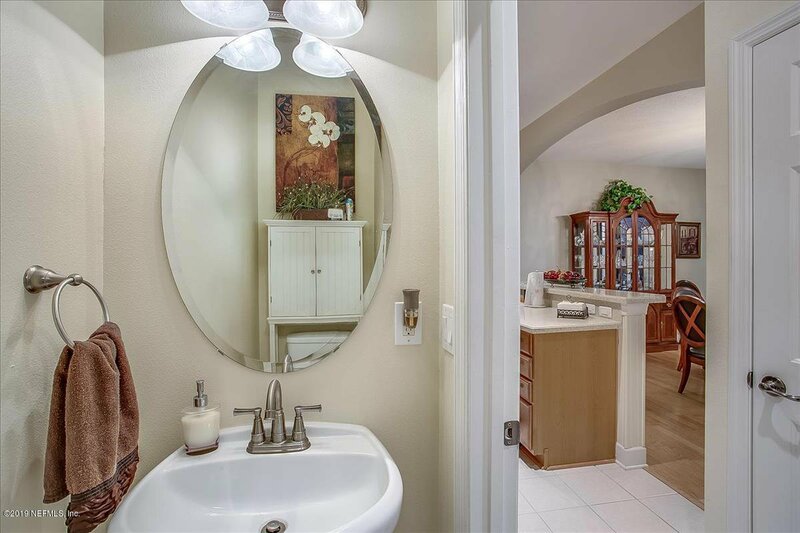 Upstairs you'll find 2 spacious secondary bedrooms, large laundry room, guest bath and luxurious master suite with glamour bath featuring dual vanities, garden tub, shower and large walk-in closet. 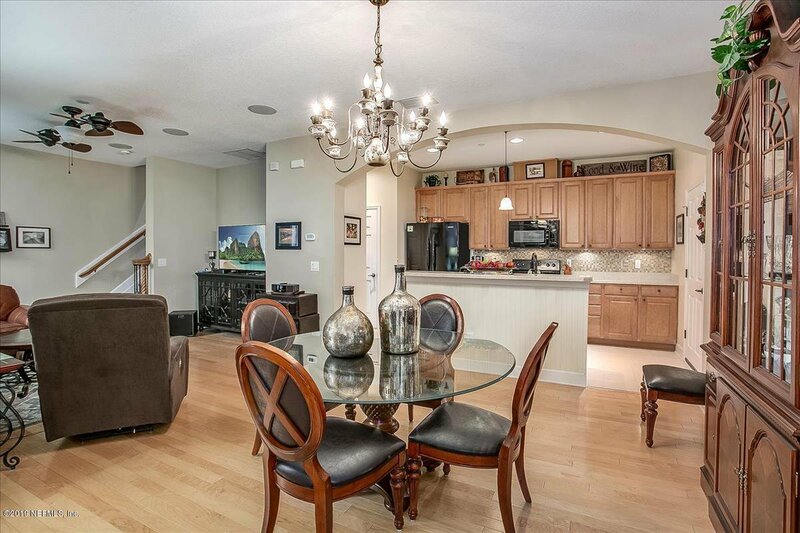 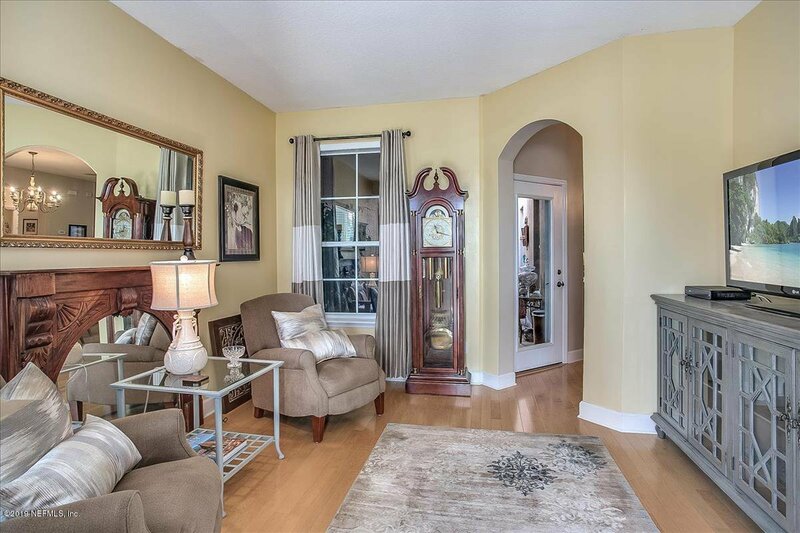 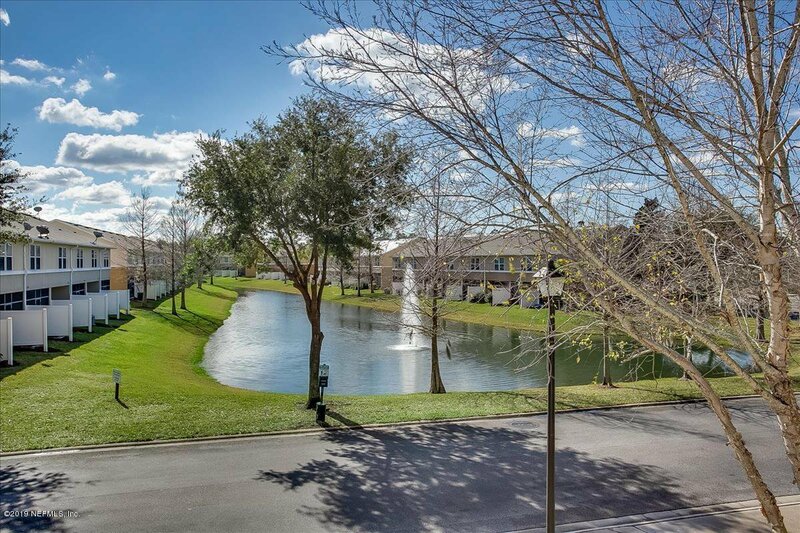 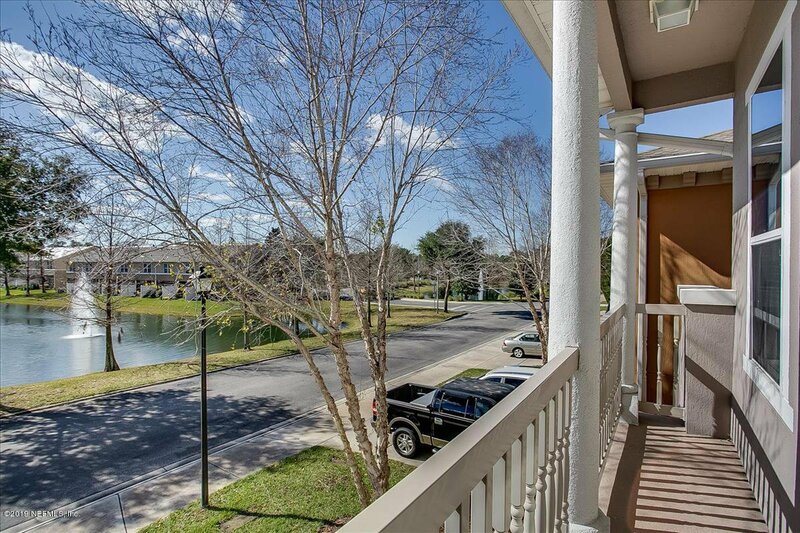 Enjoy the balcony just off the master suite with beautiful view of lake and fountain. 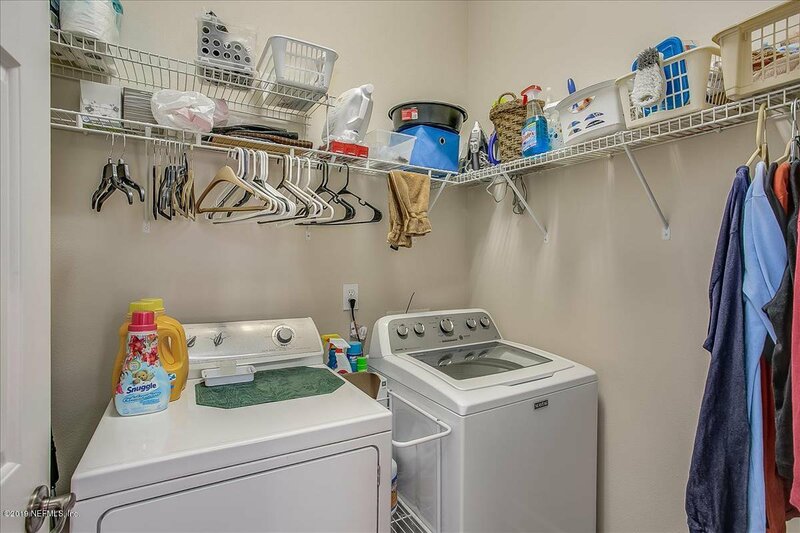 Lot's of closet storage, plus over sized two car garage. 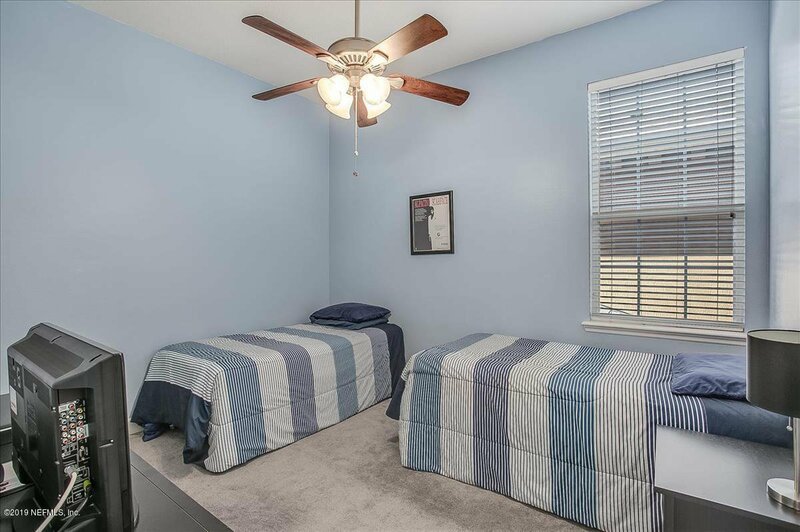 HVAC just 3 years new! 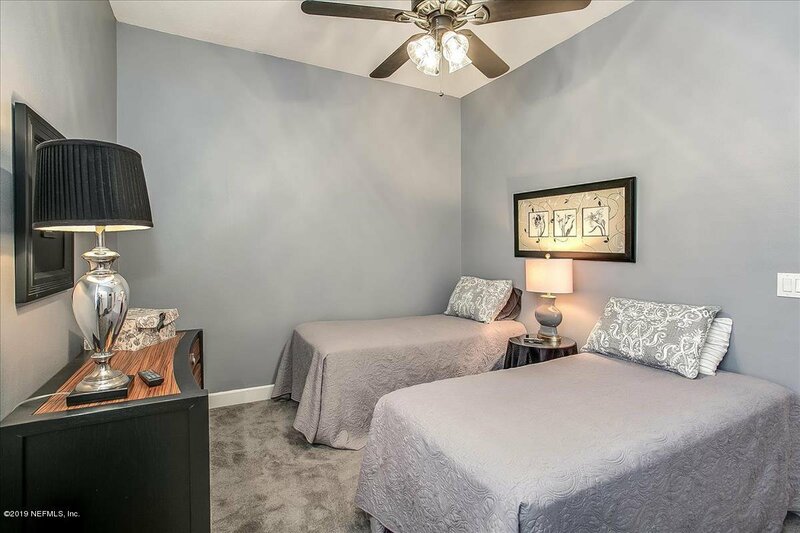 Interior amenities include, knockdown ceiling and orange peel walls throughout. 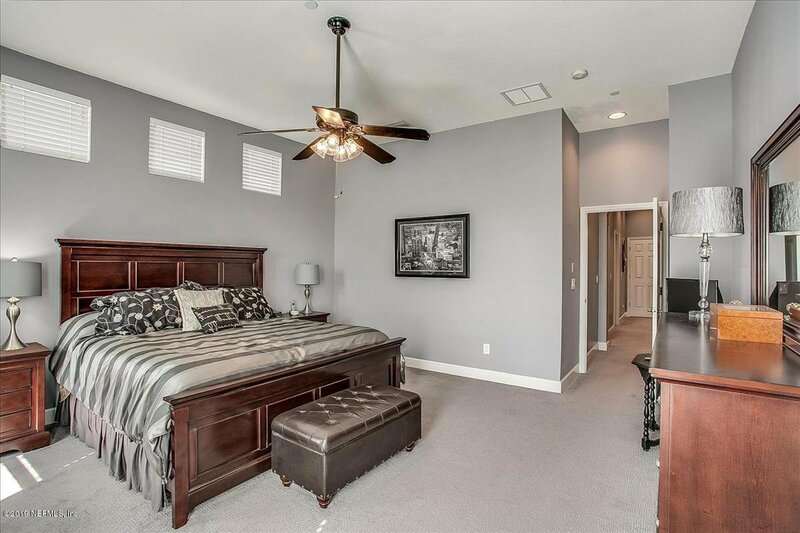 Upgraded carpet on stairs and upstairs hall and bedrooms. 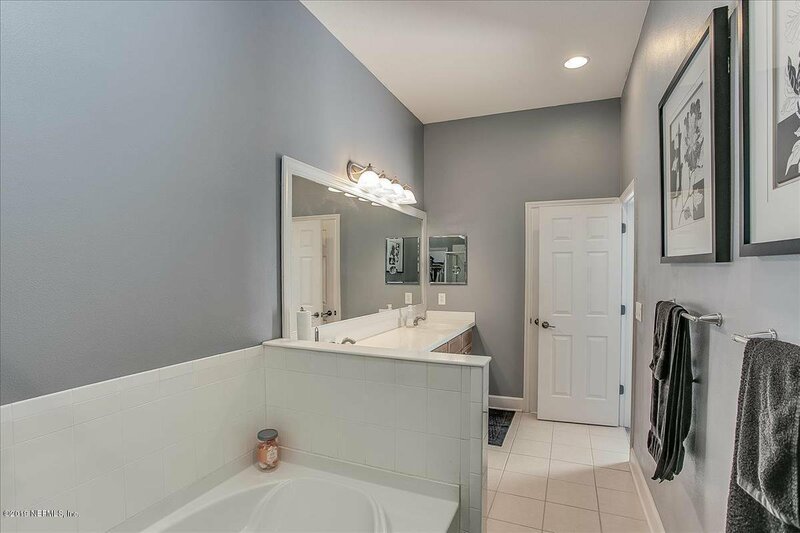 5 1/4" baseboards throughout. 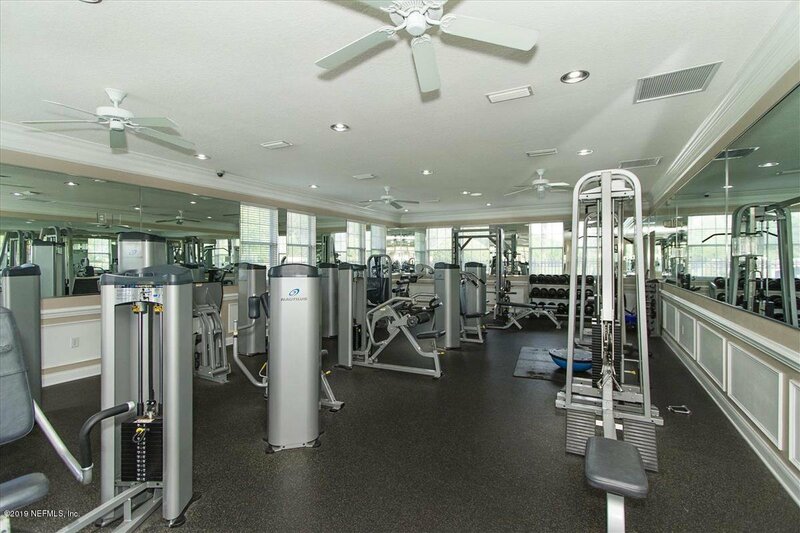 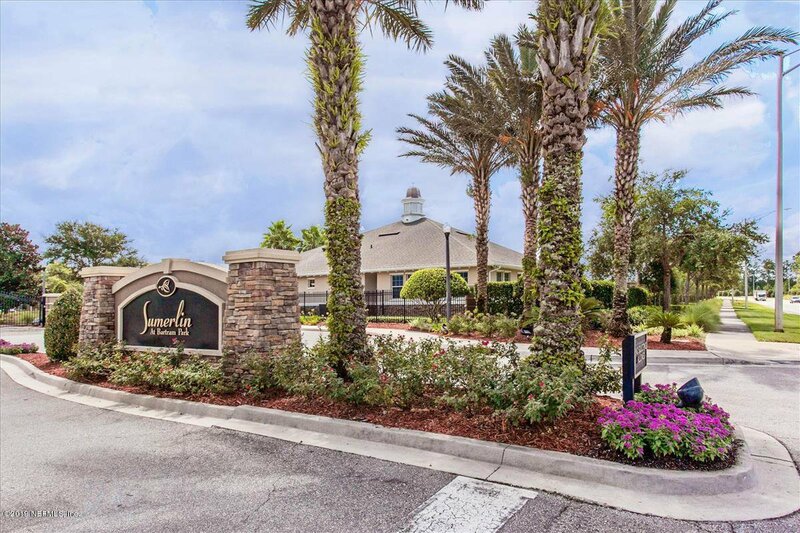 Community features resort style pool and cabana, fitness center and irrigated and maintained landscaping. 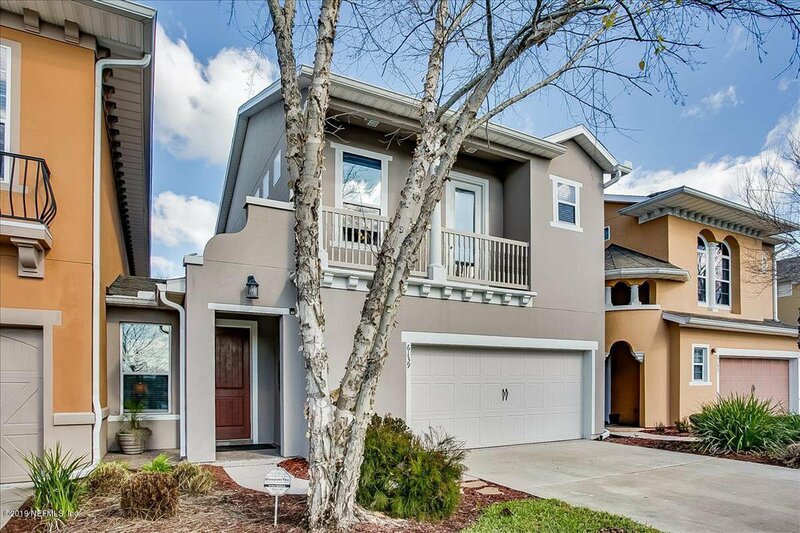 Don't miss out on this beautiful home, just waiting for new owners.